Keep your coffee hot and smoothies cold as the days unfold with our favorite travel tumblers. Your AAA Wishlist is an online shopping guide. When you make a purchase through a third-party link, AAA Northeast could receive revenue. 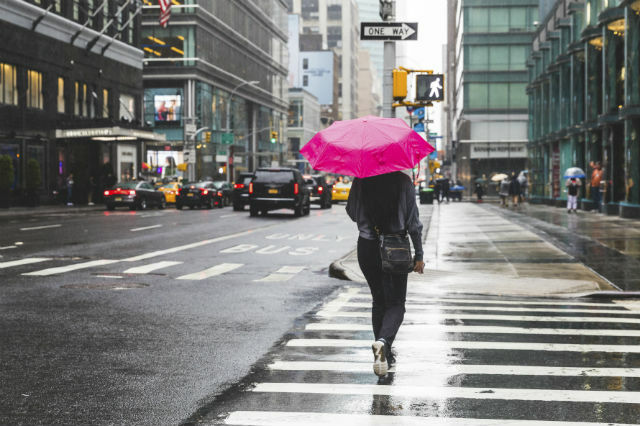 We all need a good travel mug to keep our morning coffee hot, and with summer around the bend, ice-cold drinks will soon be on our minds, too. Why not get a tumbler that does both? We’ve investigated the season’s top options for hot and cold tumblers to bring you the best you can buy. Come check out our finds! The sleek Zojirushi SM-KC48 Stainless Mug has a compact, minimalist design, a convenient flip-open lid for easy sipping and vacuum insulation to maintain your drink’s temperature for over six hours. Its plastic components are BPA-free while the wide mouth accepts all your beverage necessities, from fruit slices to standard size ice cubes. The safety lock prevents accidental spilling, and it comes with a five-year warranty on its heat retention/thermal insulation. Buy it here. 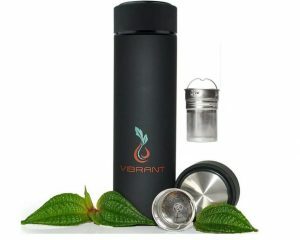 A ideal summer travel cup with a unique patented design for optimal convenience. 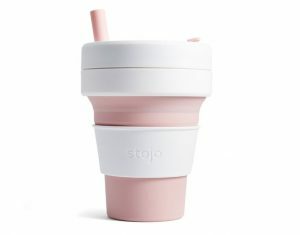 Take the Stojo Collapsible Cup with you on the train, to the beach or bring it along for a day at the amusement park. 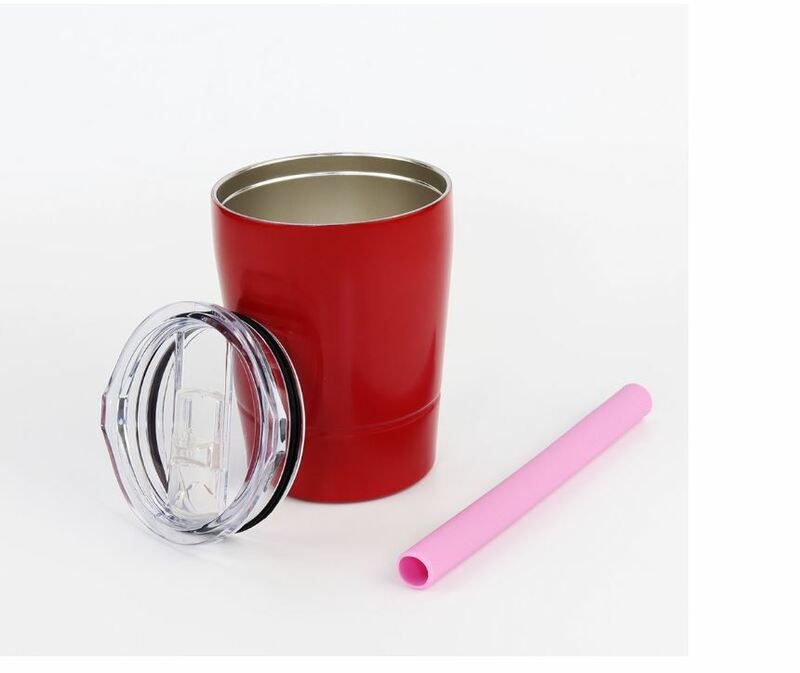 It comes with a multipurpose insulated sleeve that protects your hands from heat or cold, gives structure to the cup for easy gripping and prevents tipping over. Each Stojo is made from recyclable materials and free of BPA, phthalates and glues – all wins for health-conscious and environmentally minded shoppers. Best of all, when you’re done sipping your drink, it collapses into a 2-inch disk that fits right in your pocket! Once collapsed, it’s completely sealed so you won’t get drips in your pocket, briefcase or purse. Watch a video demo. Buy it here. 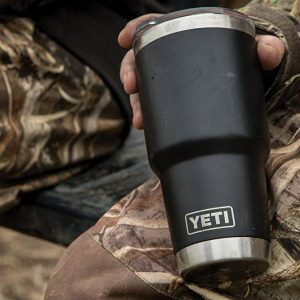 This classic Yeti Rambler carries a thirst-quenching 30 ounces of your favorite beverage, offering double-wall vacuum insulation to keep it hot or cold, a durable puncture-resistant body, shatter-resistant lid and innovative no-sweat design to prevent slippery condensation. 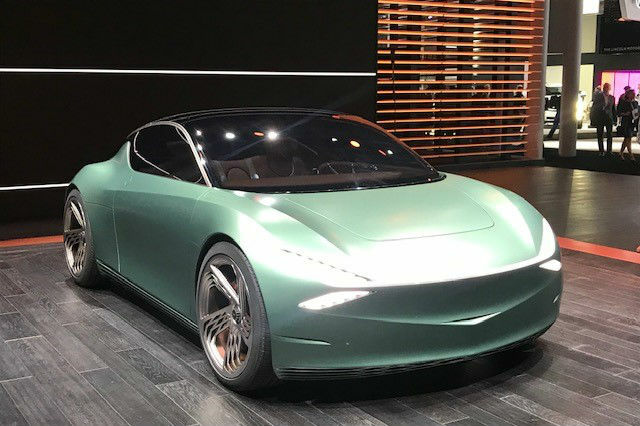 The exterior gives users a better grip with its BPA-free coat. Really need to keep cool? Pop in a few ice cubes before you leave the house. Yeti vows to keep your ice frozen for over 24 hours. This model has a 4.5-star rating on Amazon after 2,000+ reviews. Buy it here. 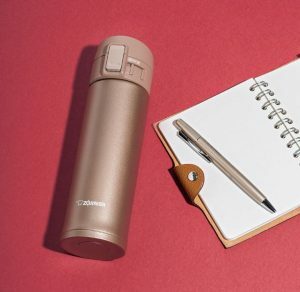 Whether you need to keep your a.m. java warm or an after-work cocktail chilled, the Corkcicle Triple-Insulated Tumbler is ideal for any 12-ounce beverage. It’s great for sipping wine by the pool since it won’t shatter if dropped. Ergonomic flat sides allow for easy handling, and it comes with a sliding spill-proof lid. An Amazon’s Choice product, this hot and cold tumbler rates 4.5 out of 5 stars with customers. Available in several fun colors like copper, glossy rose quartz and walnut wood. Buy it here. This set gives you choices. 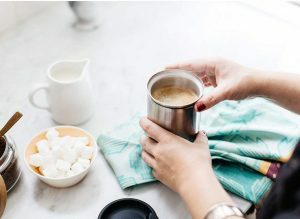 The easily removable handle lets you select your preference – a mug or glass – and then either a leak-proof lid for a hot beverage or a cold drink. 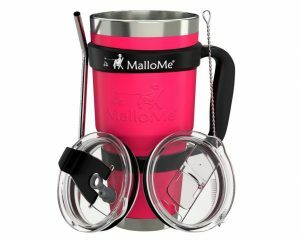 The MalloMe Stainless Steel Tumbler Set includes a stainless steel straw and cleaning brush. The 30-ounce tumbler is available in many designs and colors, including camouflage and wood grain. Comes with a 100% satisfaction guarantee. Buy it here. Fancy a cup of tea? How about some refreshing fruit-infused water for that hot summer commute home? This nifty Vibrant All-in-One Travel Mug With Tea Infuser lets you make it all fresh on the go – or you can stick with your usual fresh-brewed coffee. The removable strainer and steeper allow users to place their favorite loose leaf tea, coffee grounds or fresh-cut fruit pieces in to steep during the ride to work (or play). Stays hot for up to 12 hours and chilled for up to 32. Comes with a 100% money-back guarantee & lifetime warranty against manufacturer defects. Buy it here. 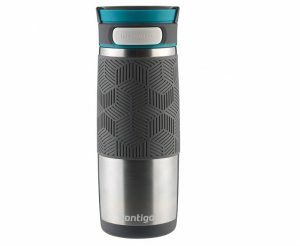 The Contigo Autoseal Transit Stainless Steel Travel Mug automatically seals (hence the name) to prevent leaks until you press the button firmly for a drink. Its geometrically textured, non-slip grip sleeve and bottom pad keep it steady in your hand and hold it in place when resting. Sip on hot drinks for five hours and cold ones for 12. It’s sturdy enough to last even if dropped a few times. Be sure to detach the lid to wash in the top tray of the dishwasher and wash the body by hand for best results. Another Amazon’s Choice item, this gem maintains a 4.5-star rating after 1,300+ customer reviews. Buy it here. Keep your commute fancy with the Presse by Bobble Coffee or Tea Maker mug’s built-in French press. The micro-filter automatically separates the grounds from your coffee, so it stops brewing when you’re ready and you won’t get grounds in your coffee. Makes up to 13 ounces of coffee and stays hot for several hours. Comes in assorted colors like copper, peacock blue and silver snowmen. Buy it here. Everybody needs to stay hydrated in summer heat, especially the little ones. Why not get them their own travel tumbler? These Colorful Popo Kids’ Rambler Tumbler cups are perfectly child-sized (8.5 ounces), BPA-free and nontoxic, with vacuum insulation to keep drinks hot or cold and silicone straws wide enough for smoothies and milkshakes. Available in seven different colors. Buy it here. 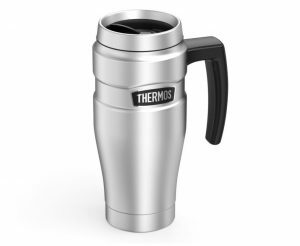 Originally founded in 1904 in Germany, Thermos still makes high-quality insulated food and beverage containers like the Thermos Stainless Steel Travel Mug. It’s got everything expected for optimal temperature retention, plus built-in hooks for tea bags or loose-leaf infusers. Hot drinks stay warm for five hours, cold bevvies keep chilled for nine and the exterior stays cool to the touch no matter what. Available in seven colors, this Amazon’s Choice product holds strong at 4.5 stars after 3,000+ customer reviews. Buy it here. 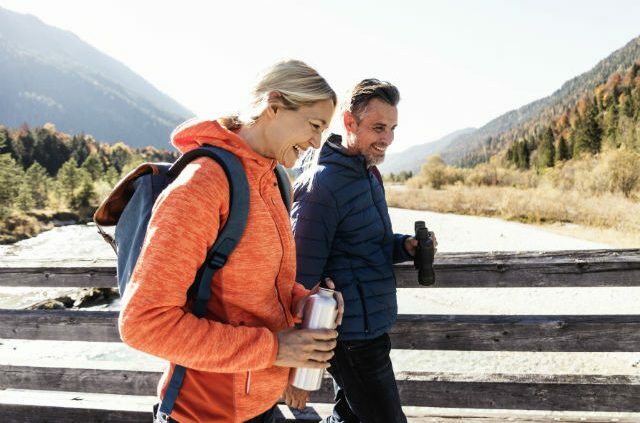 We know mornings can be hectic, so whenever it’s time to rush out the door, be sure you’ve got your favorite hot and cold tumbler to take along. No time to make coffee before work? Take the fixins with you and do a French press or some tea en route! Got a little tyke to prep for the road? Give them a tasty breakfast smoothie to sip in their car seat. No room for a tumbler on the rides at Six Flags? 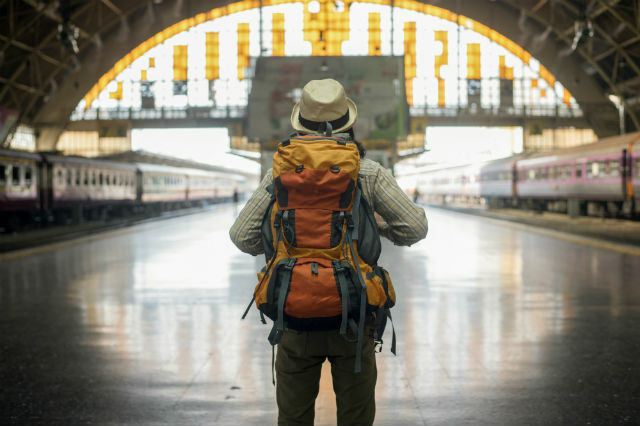 Bring a Stojo and collapse it to fit in your pocket before you board. 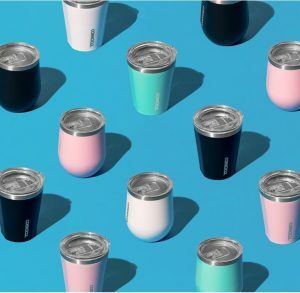 With these innovative travel tumblers, there’s really something for everyone this summer. Article tags: AAA, AAA Northeast, car, food, food and beverage, safety, travel.